We know finding assisted living options for an aging parent is a big responsibility. That’s why, at Peabody, we’re honored to be here to offer help and a little much-needed peace of mind for everyone. 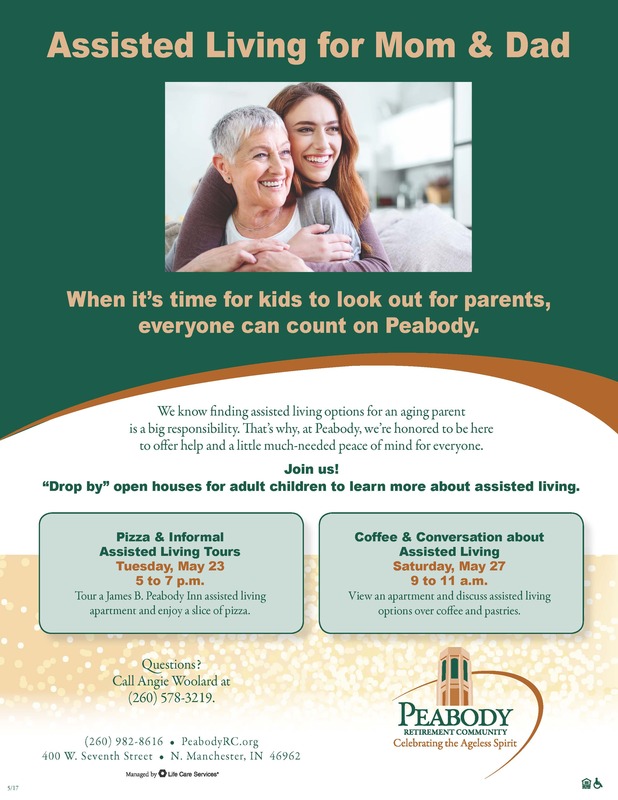 Join us at our Open House event on Tuesday, May 23 from 5-7 p.m. for pizza and informal assisted living tours, including the James B. Peabody Inn assisted living apartment. For questions or to RSVP, please contact Angie Woolard at 260-578-3219.